Not twerking. She's singing for the Lord! 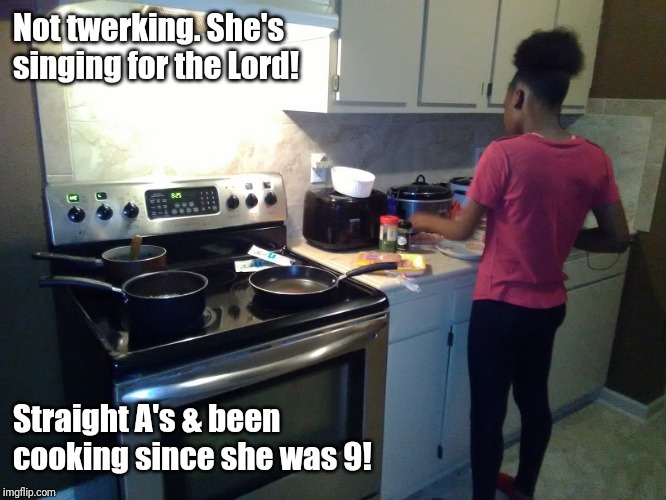 Straight A's & been cooking since she was 9!